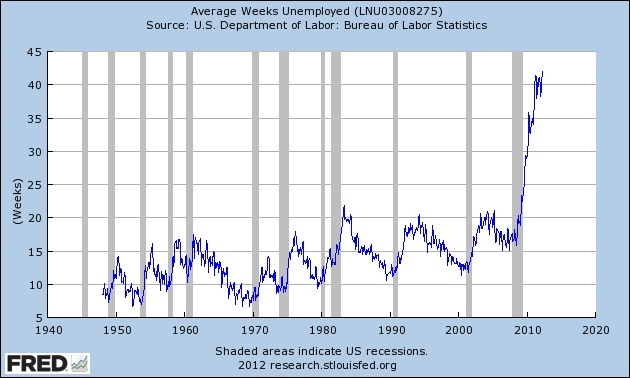 Just a reminder: this is what has happened to duration of unemployment since the US federal government has been keeping track. 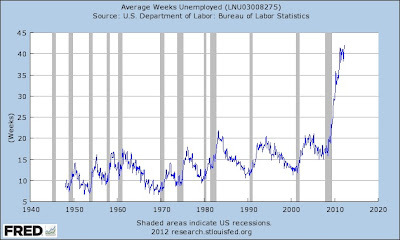 If we had the same labor force today as we did when President Obama took office, the unemployment rate would be over 11%. Those are depression era numbers.